I had a good time. There was two jeep groups out there and even a toyota group, plus a few hunters. Definitely the most trucks ive ever seen out there at once. 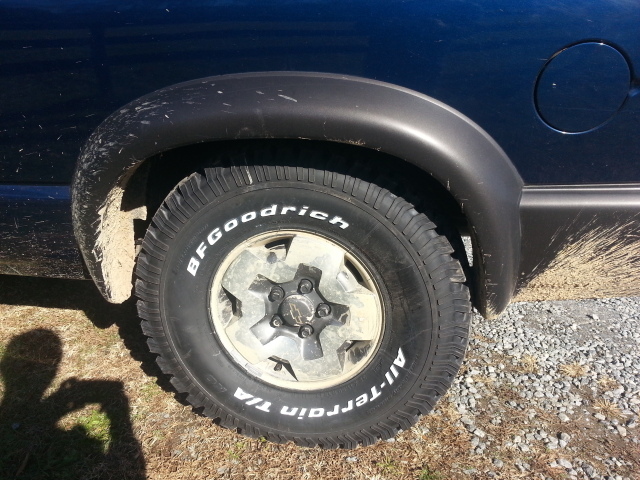 getting my 32s put on today. Awesome! I'm there next time. Matching truck and all lol. 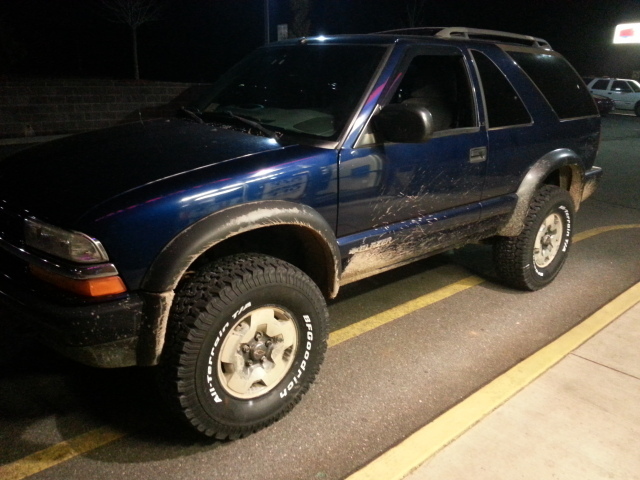 got my new tires, very very happy with how it looks. Hopefully some other blazers would be interested in making a trip to the forest soon. What size are those tires, looks like you said 32's? Do they rub anywhere, and do you have a lift at all? Tires are 32/11.5 on the stock wheels. 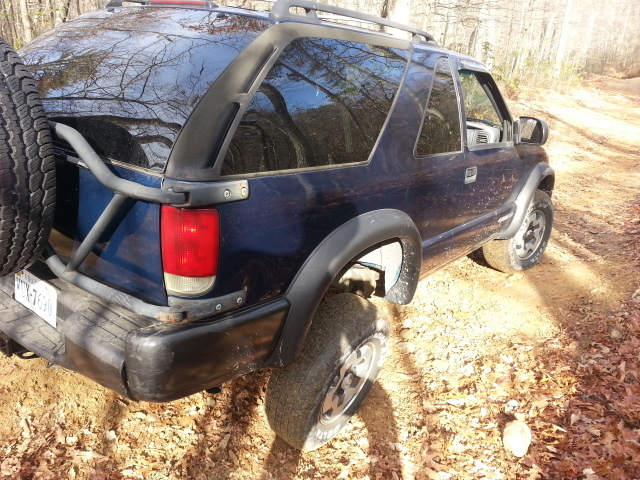 I have a shackle and a short add a leaf in the back but my truck was extremely saggy so its about 2" over stock. Cranked the tbars only about an inch, and the only trimming I did was on the front flarettes and valance. It wasnt a lot and I drove it for a few days without trimming and it only rubbed it reverse. Well see if I need to cut some more once I take it offroad. the rear tires will touch the the flare but only at FULL no sway bar articulation and its just enough to take the dirt off so Im leaving it for now. hmm, interesting, I want to jump up to 32" tires, let us know if you get any rubbing when off road. I will probably get something in that size when its time to get new tires. I was thinking about doing 33x10.50, but im glad I didnt becuase that would have required trimming in the back. The 32s are literally right on the money for squeezing past the fender when flexxing. On a street driven truck, 33s would be fine IMO. very nice, thanks for the pic. The new tires make your truck look much better imo.